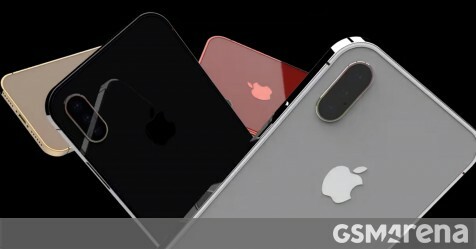 Gunho Lee had a dream – a dream of the upcoming iPhone XI with the squared off design of the iPhone 4. And being the skilled 3D artist that he is, he created a concept ad for the new phones, complete with Apple’s usual “better than ever” boasting. Do you miss that design? It worked quite well with the relative small iPhones (4 to 5s and the SE), but those sharp corners may not be so great when holding a 6.5” device. We do like Lee’s idea of bringing back the Product (RED) color as standard rather than a special edition. This concept also shows a simple triple camera setup, which (to be honest) looks better than these renders with the Huawei-style arrangement. The latter is the design favored by Apple as it was allegedly based on engineering prototypes. Anyway, the new generation Touch ID with an in-display fingerprint reader sounds sweet, but we wouldn’t bet on it – Apple is all-in on face scanning these days. Is the 2018 Porsche 911 GT2 RS still a “widowmaker”?